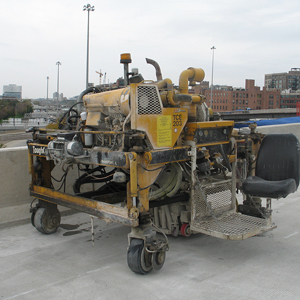 Our bridge grooving machines are equipped with diamond saw blades and efficient vacuums. 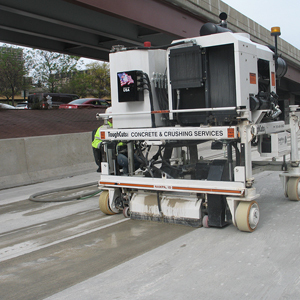 The blades are mounted on a horizontal shaft, in one or two patterns, one being an even 3/4" spacing between blades or most commonly used IDOT specs referred to as random spacing. 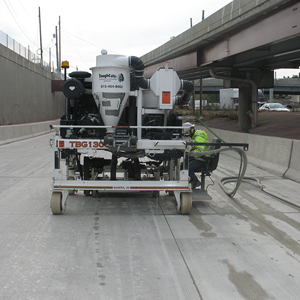 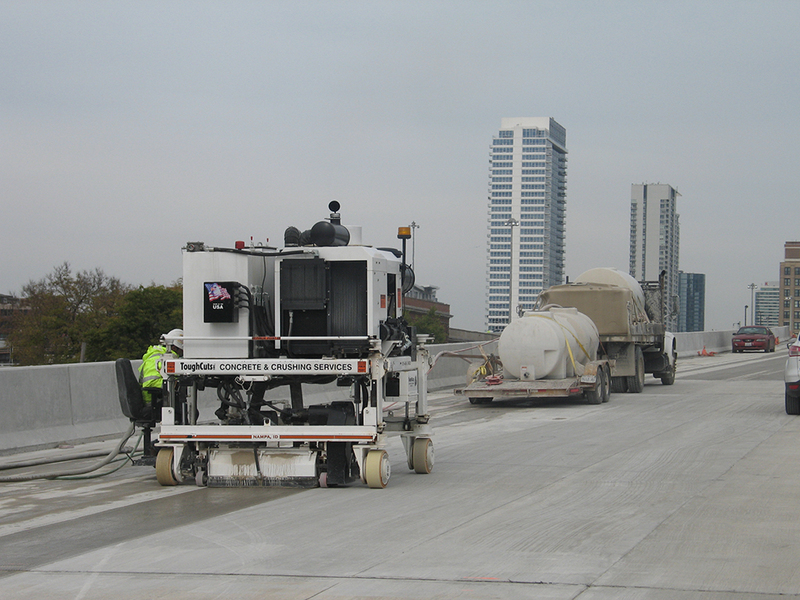 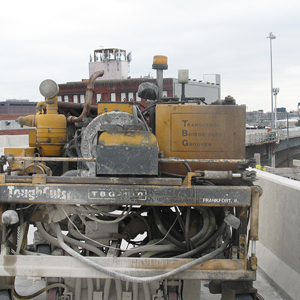 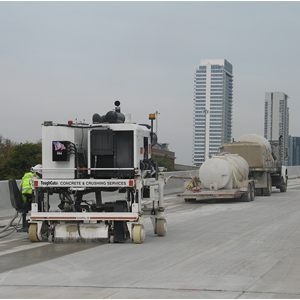 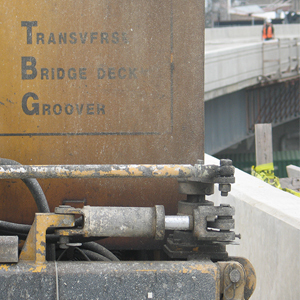 Grooving is preferred rather than tinning newly constructed or rebuilt bridge decks, as specified by many states because of a more effective process. 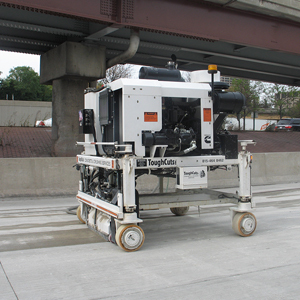 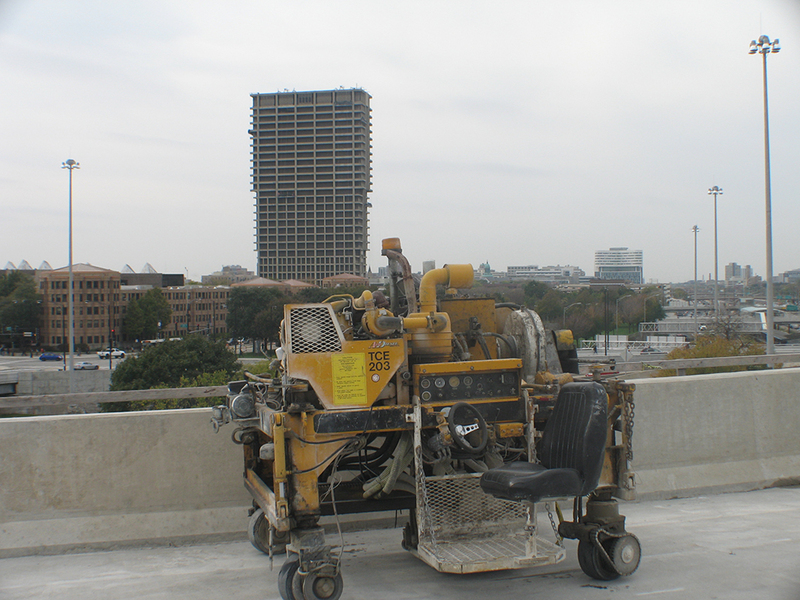 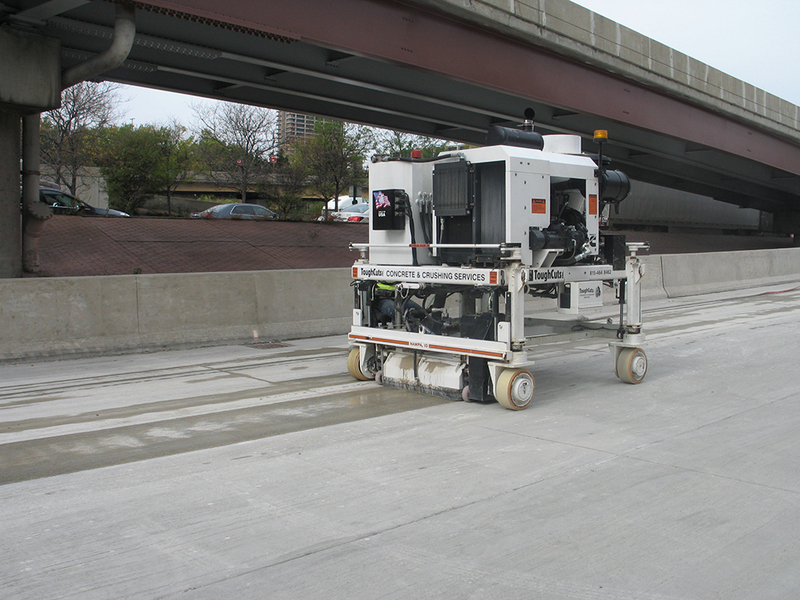 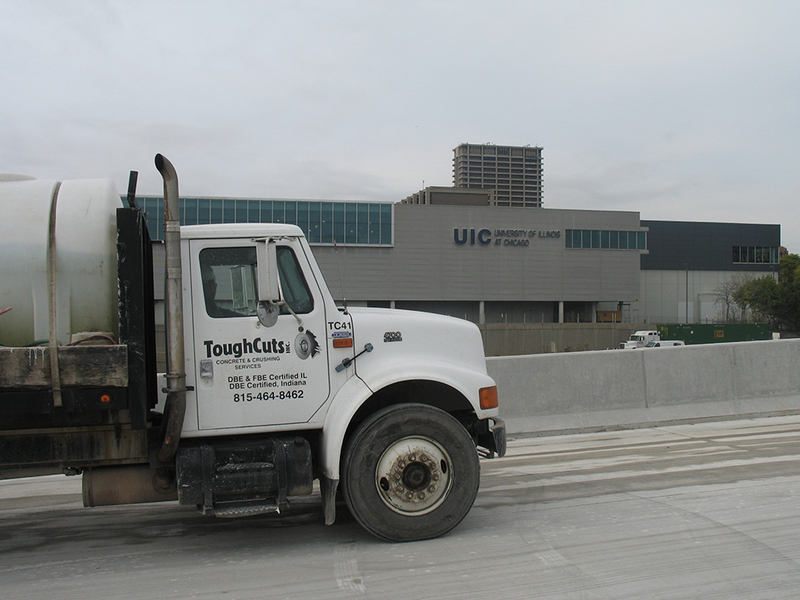 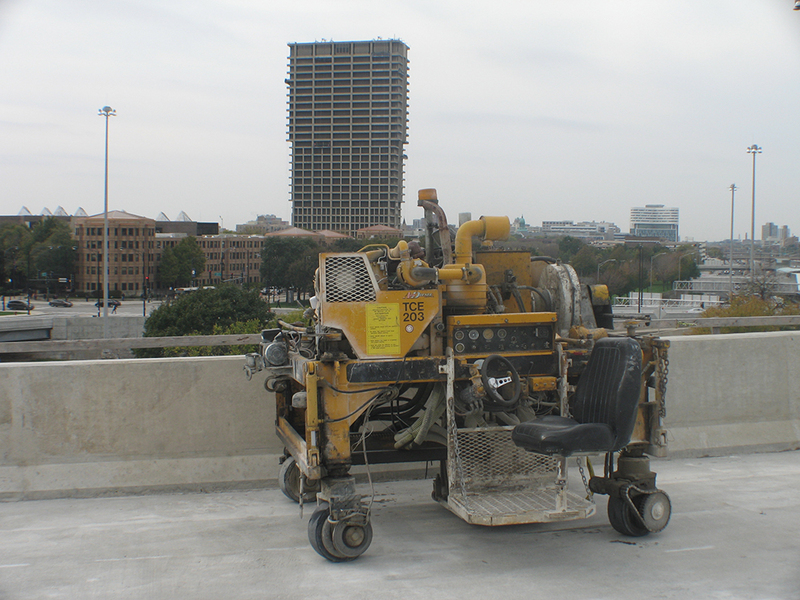 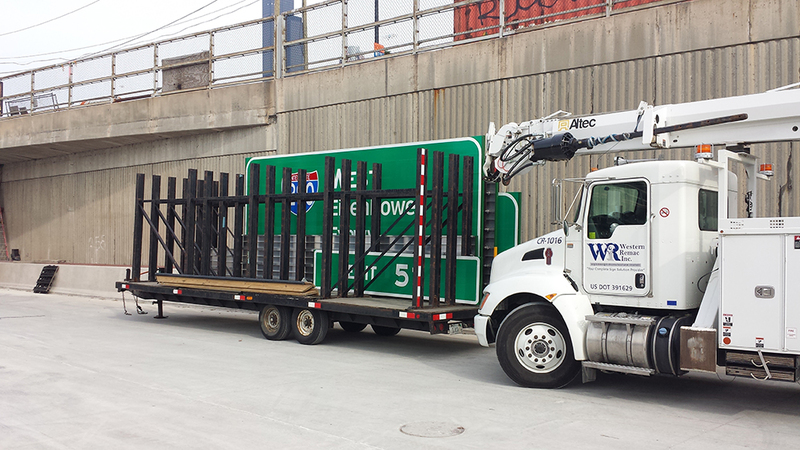 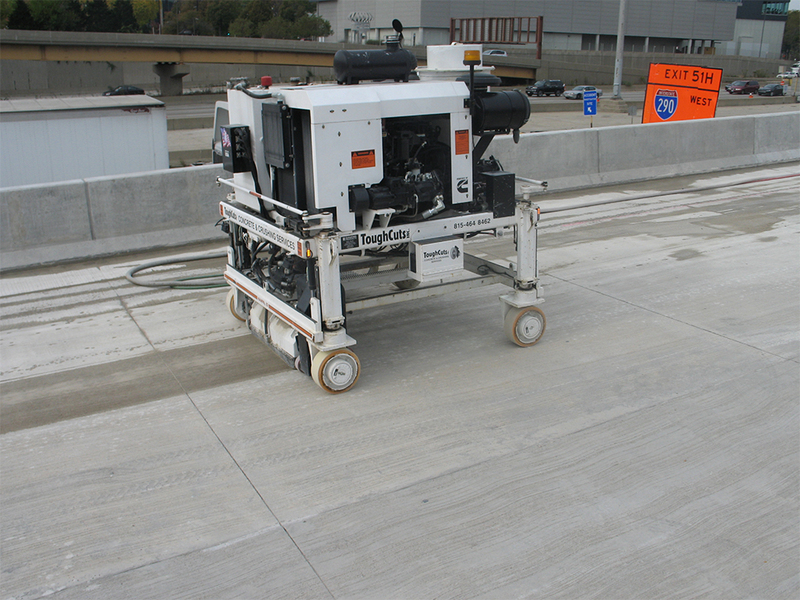 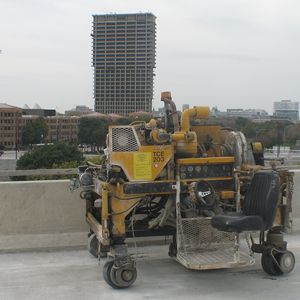 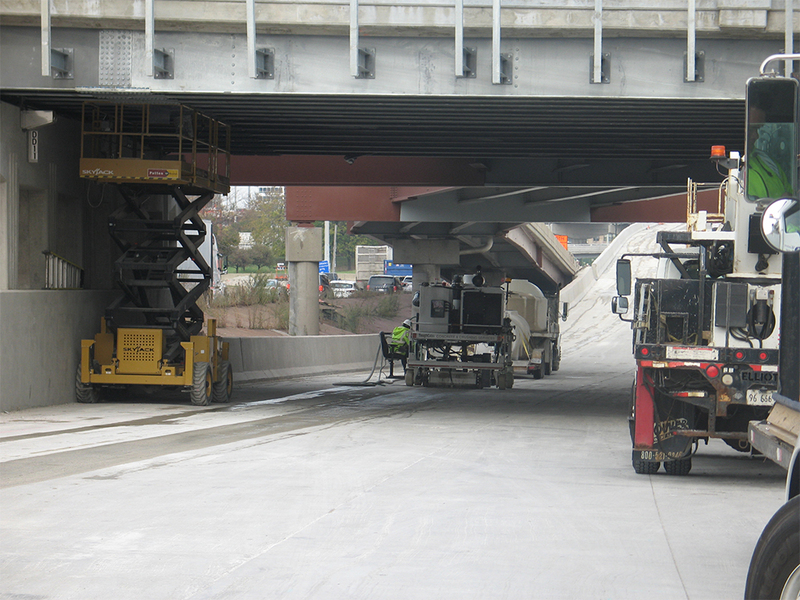 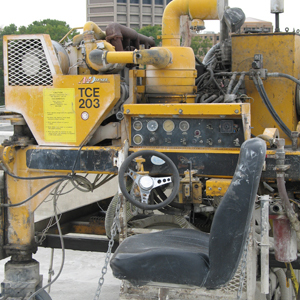 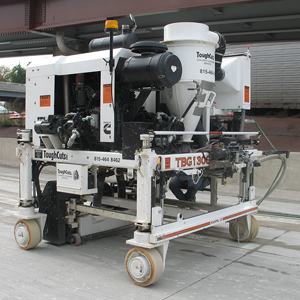 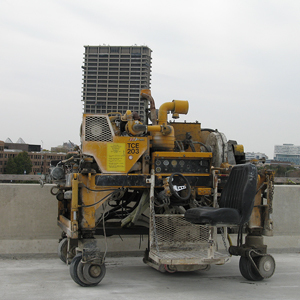 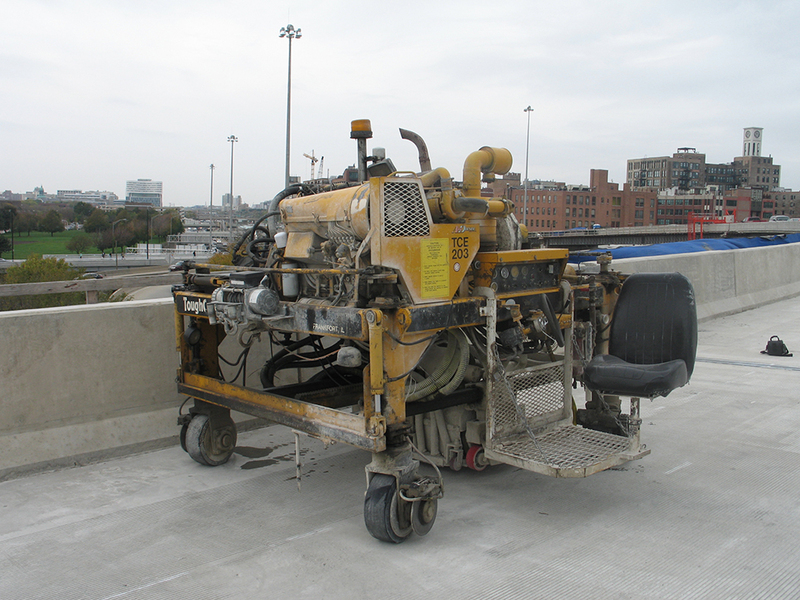 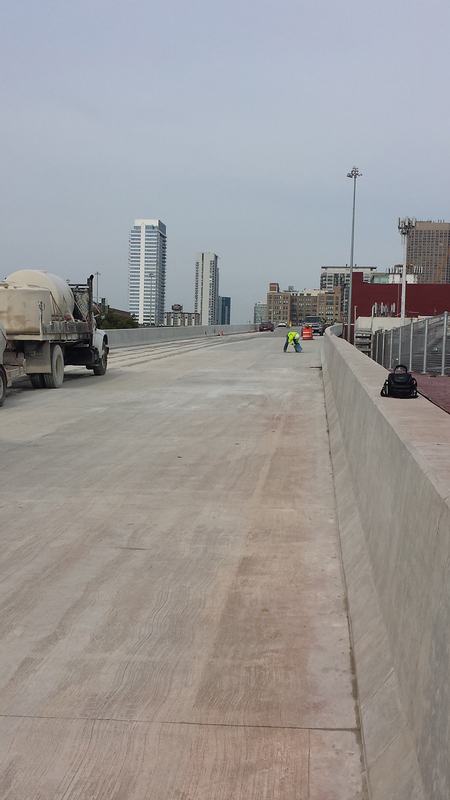 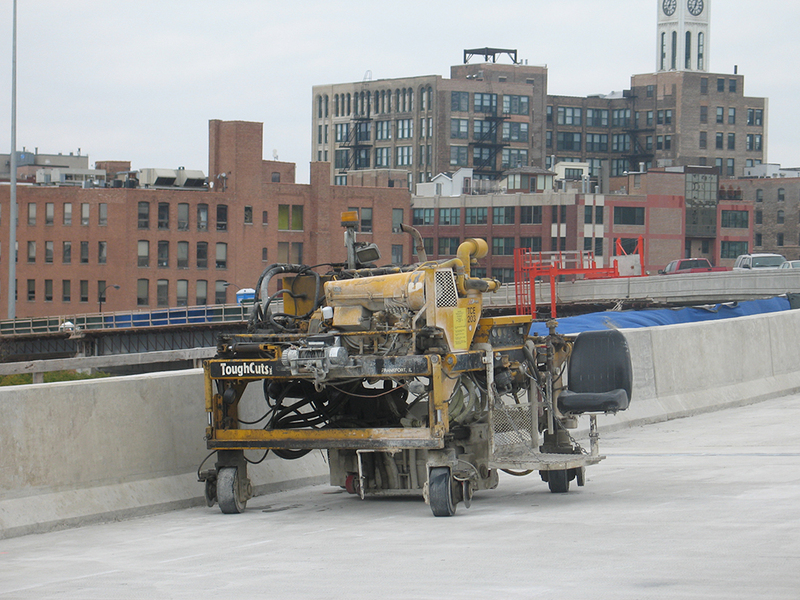 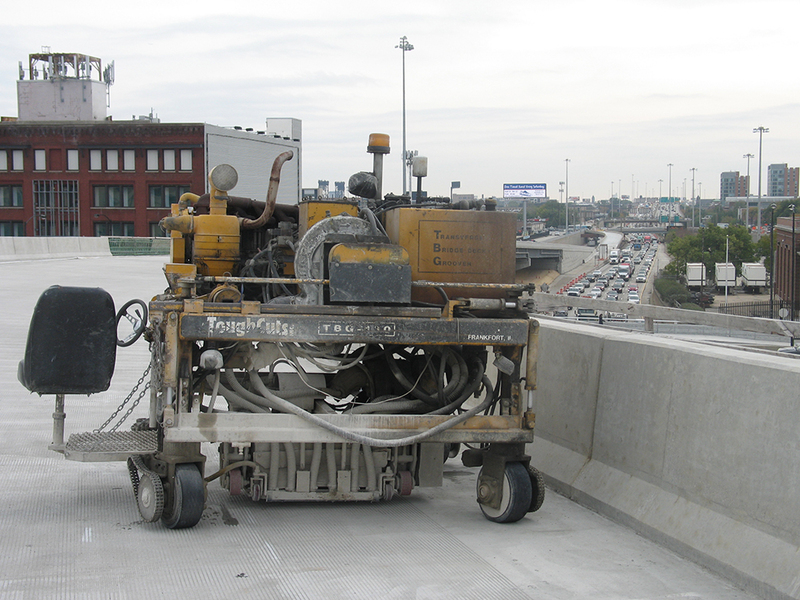 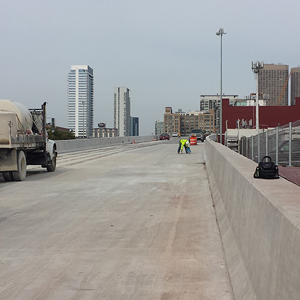 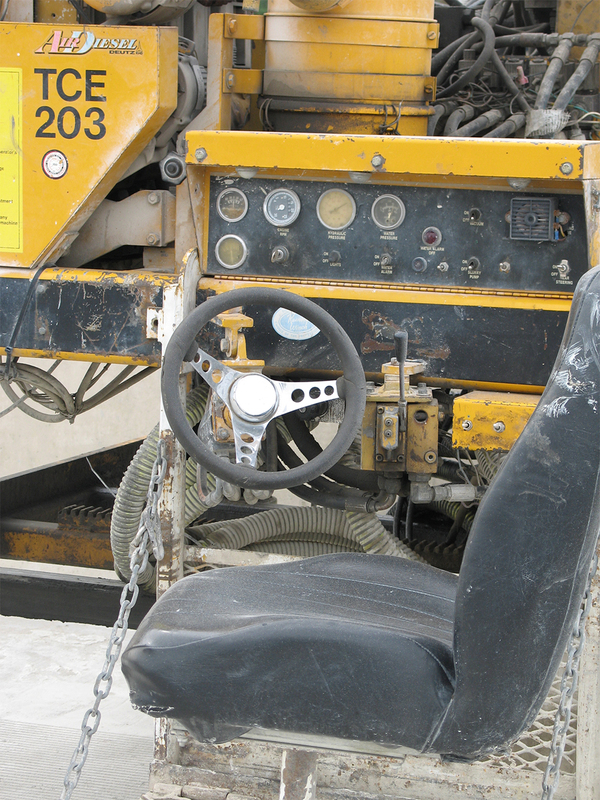 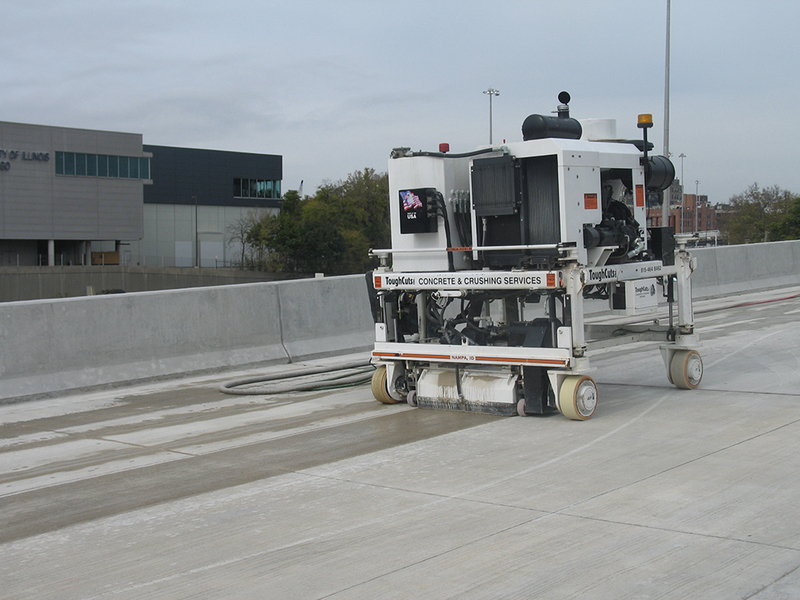 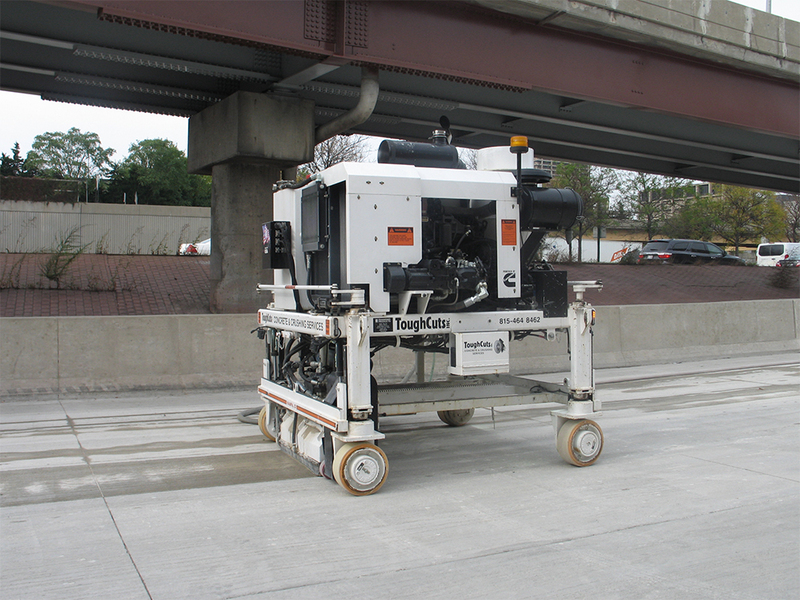 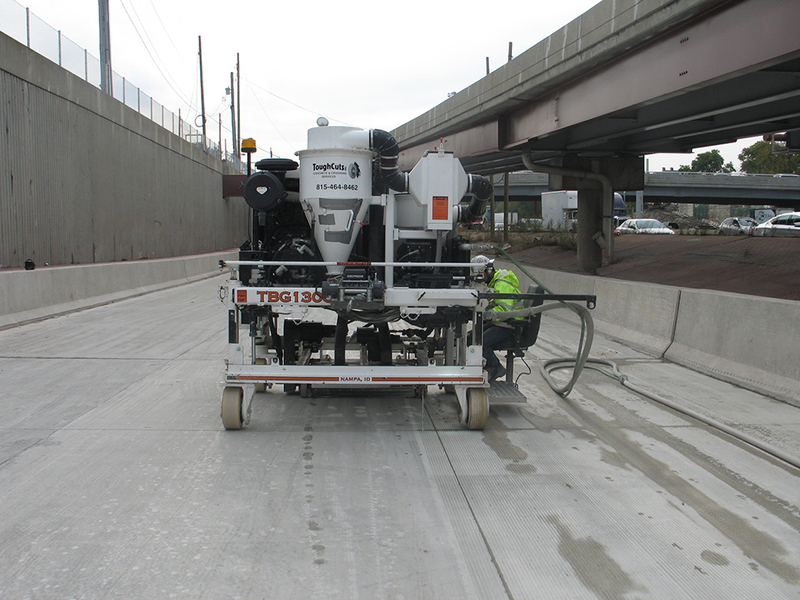 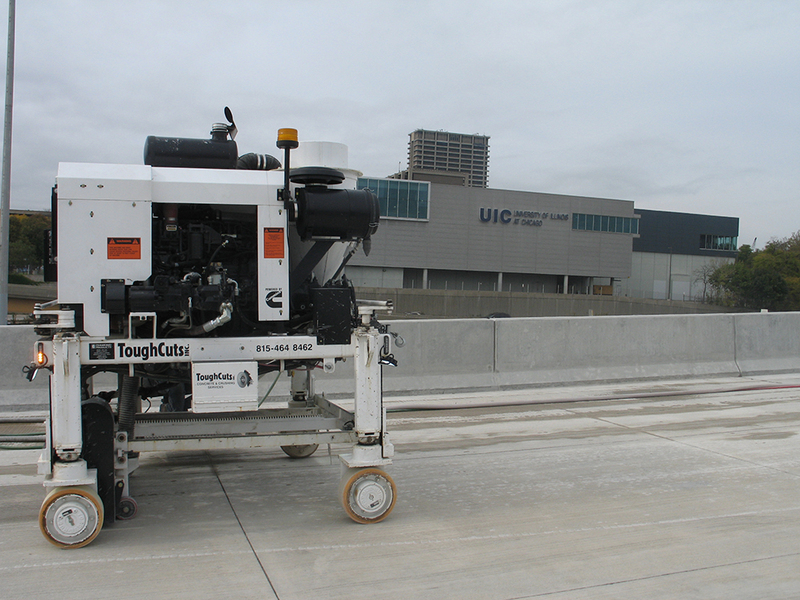 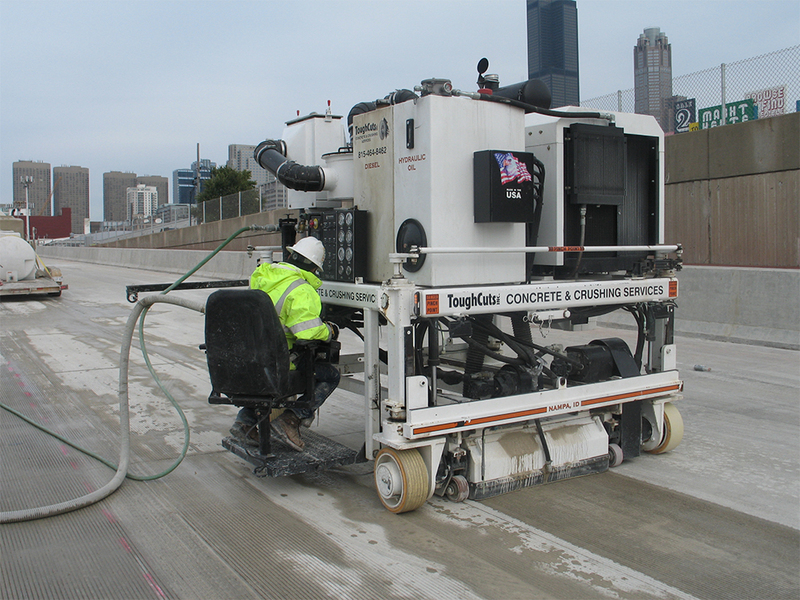 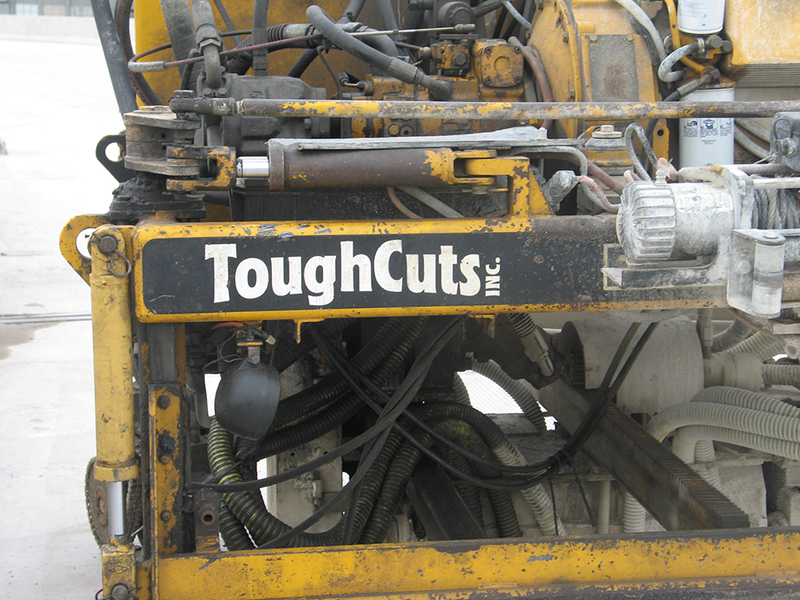 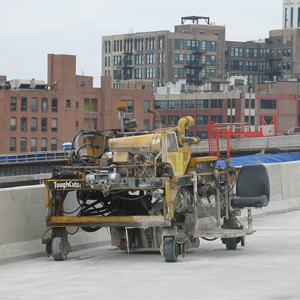 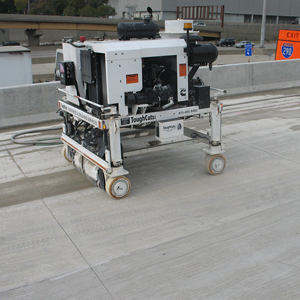 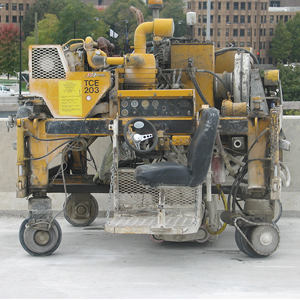 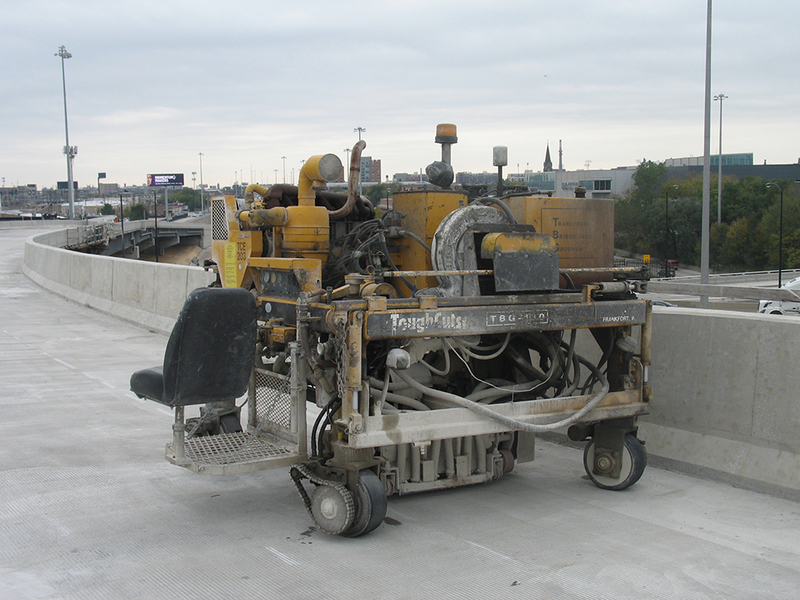 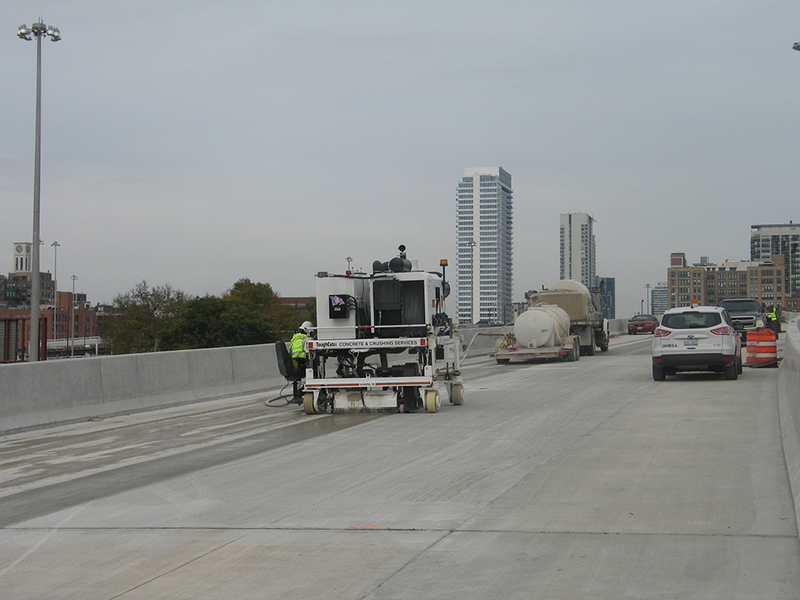 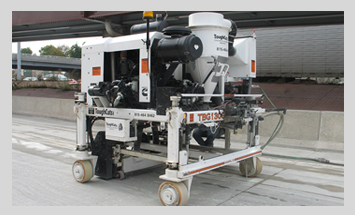 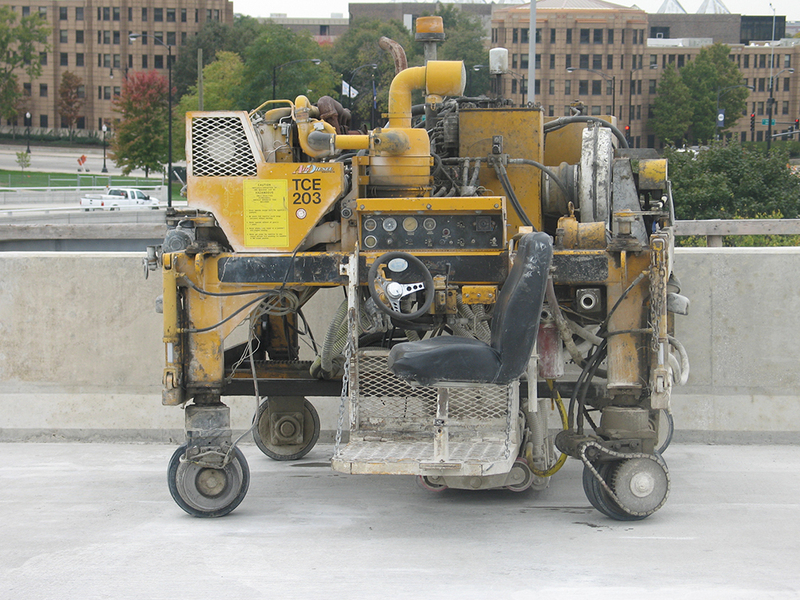 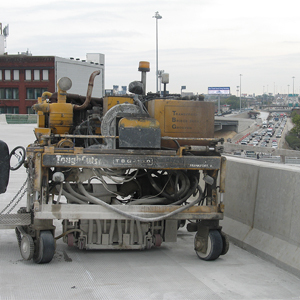 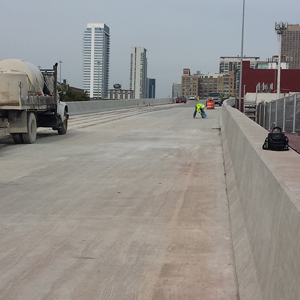 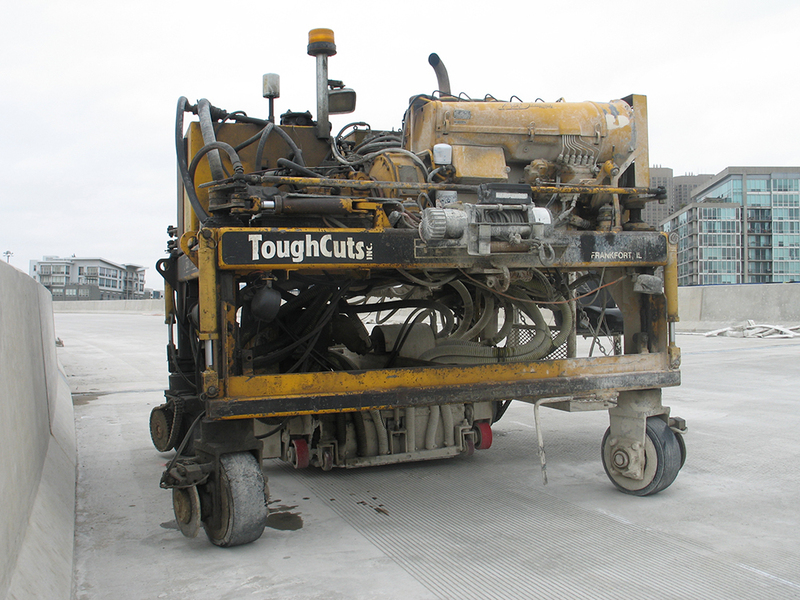 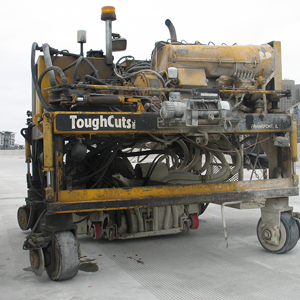 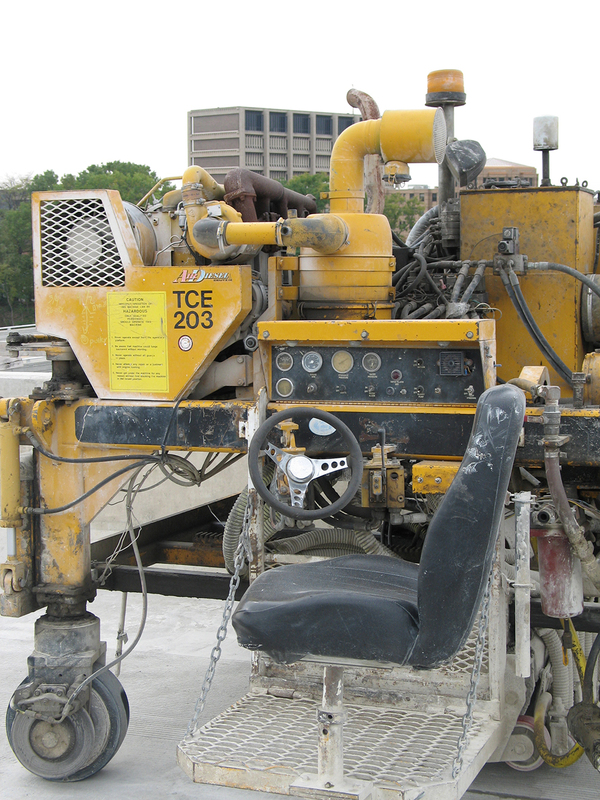 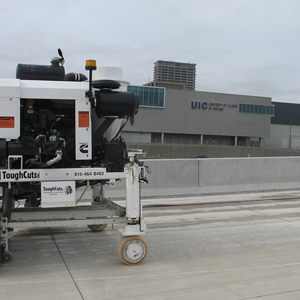 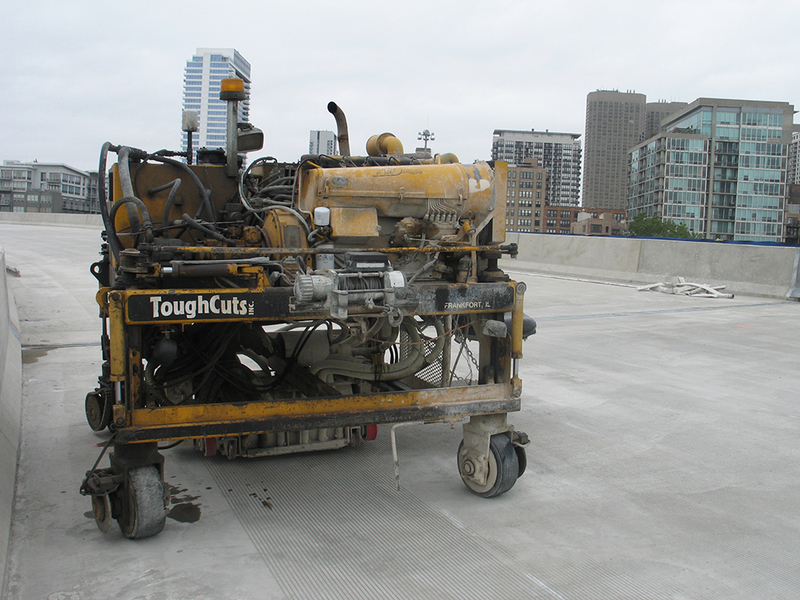 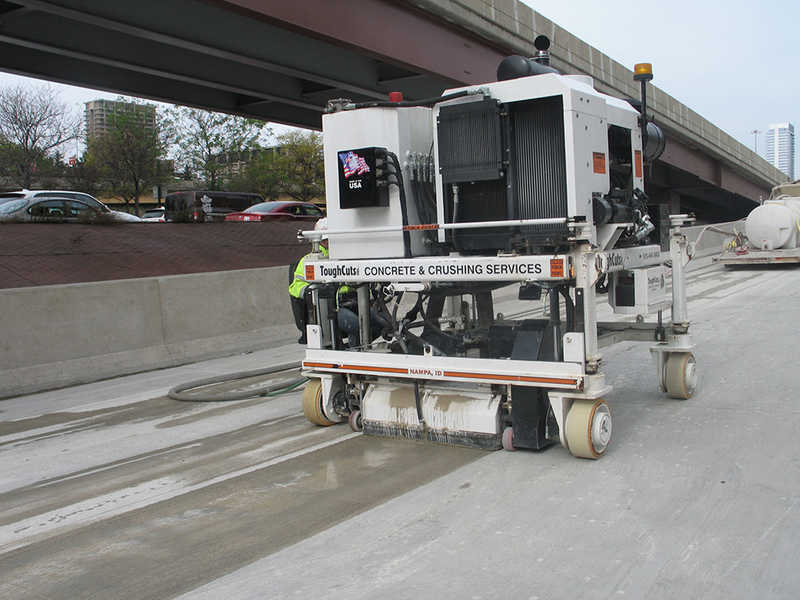 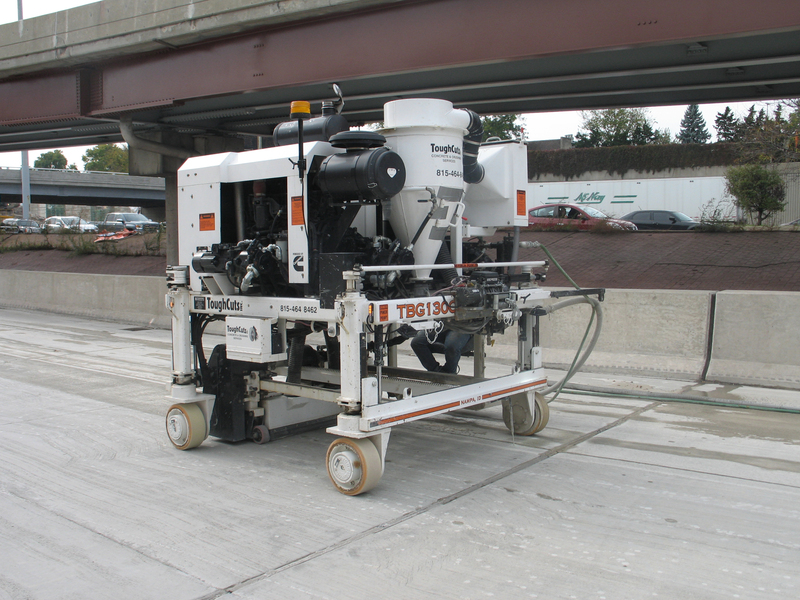 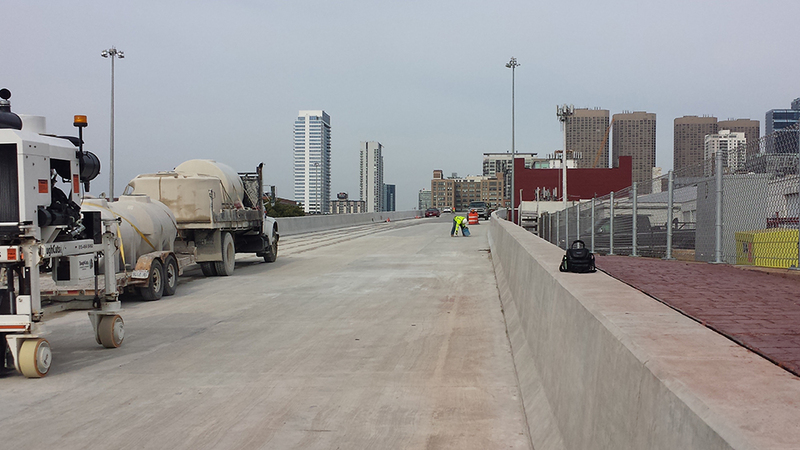 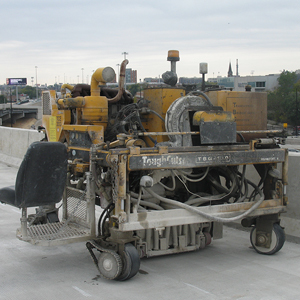 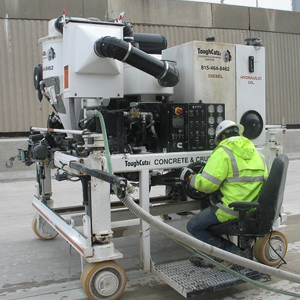 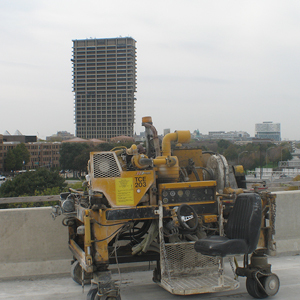 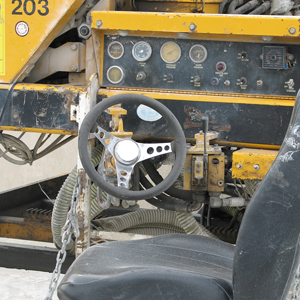 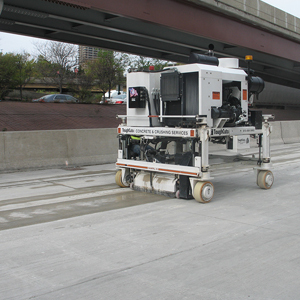 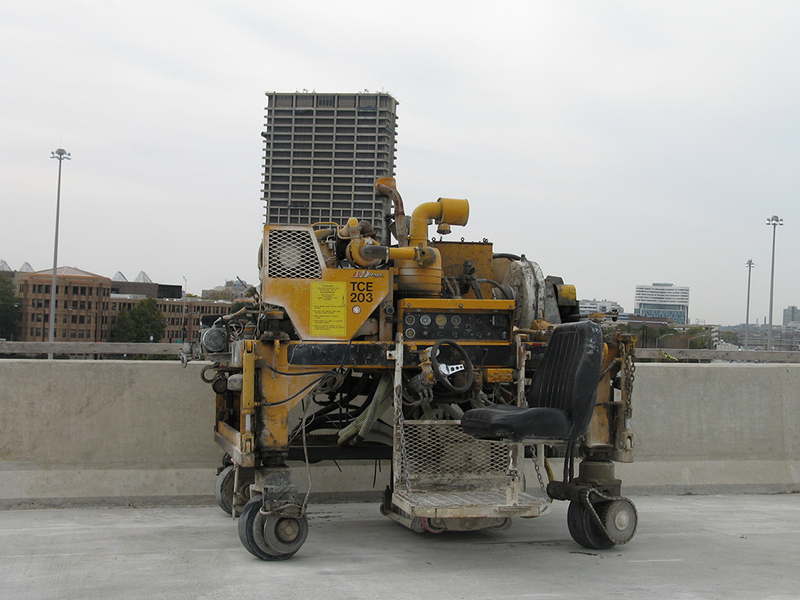 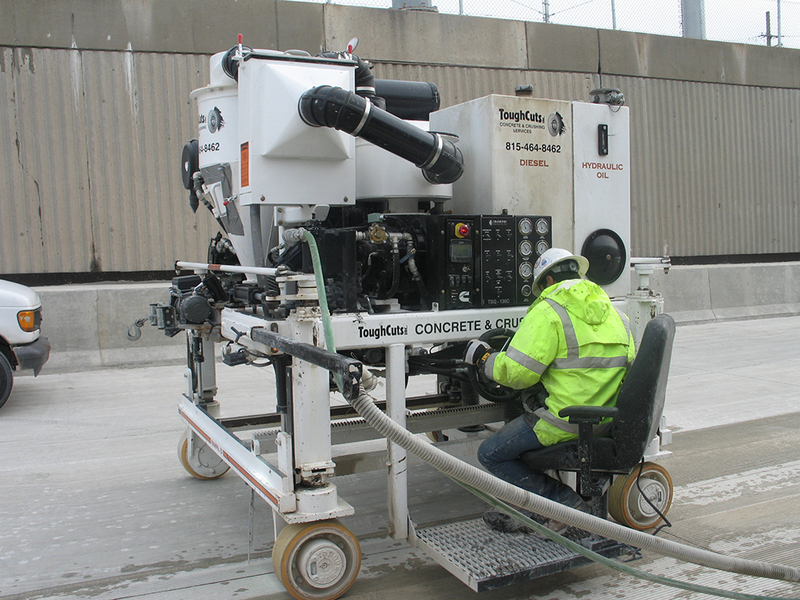 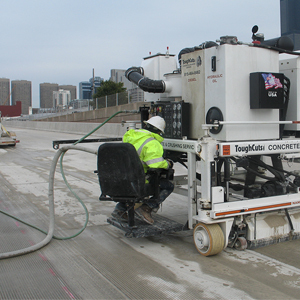 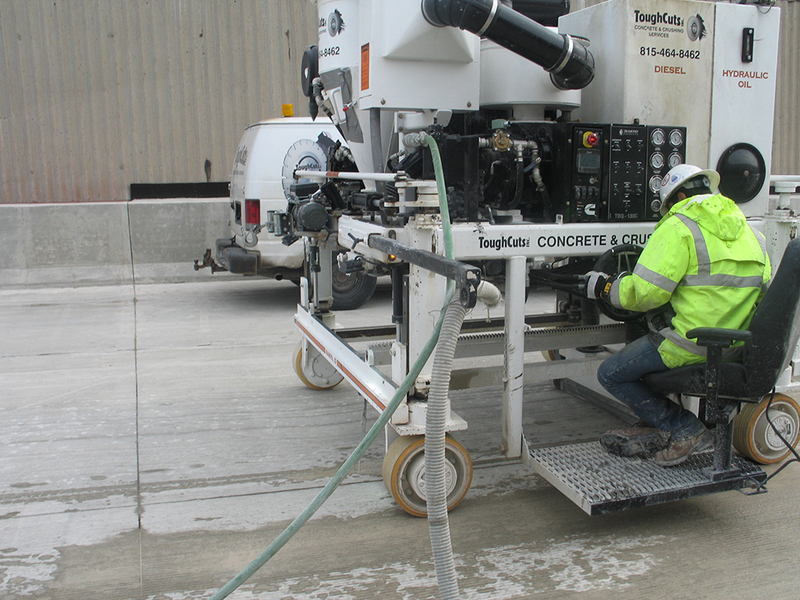 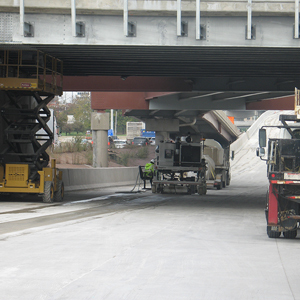 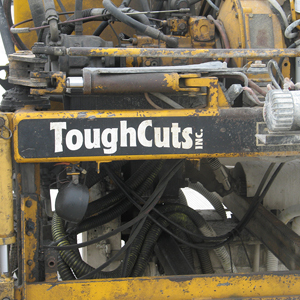 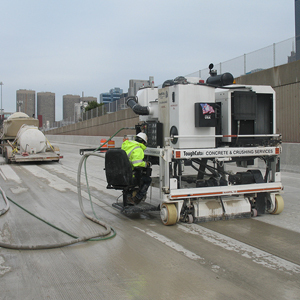 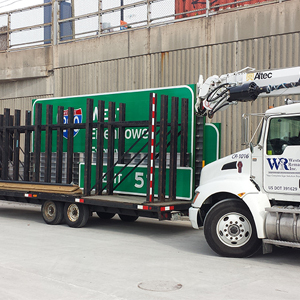 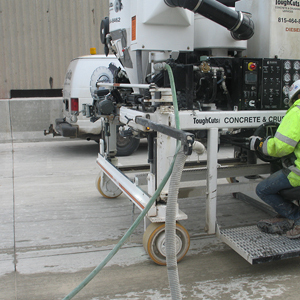 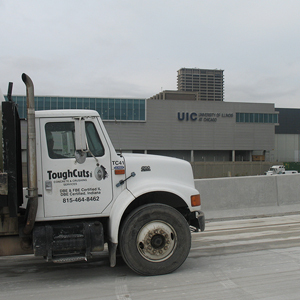 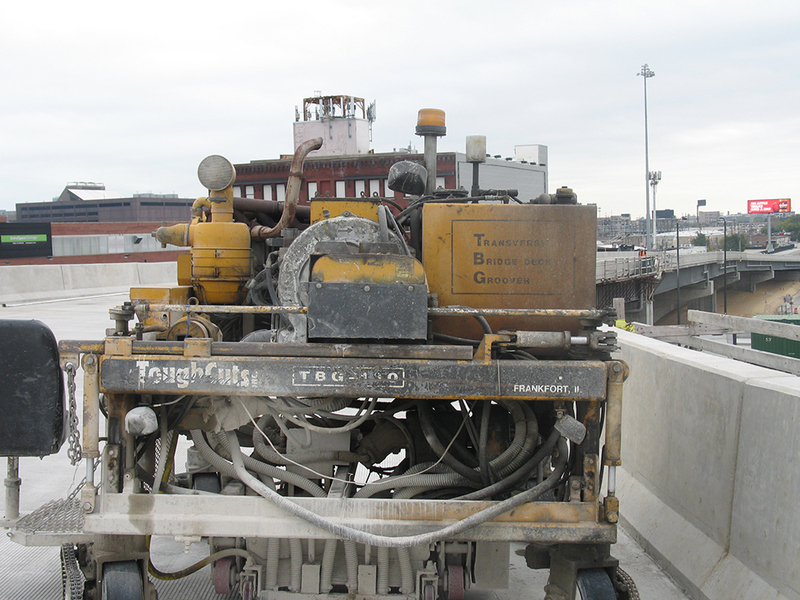 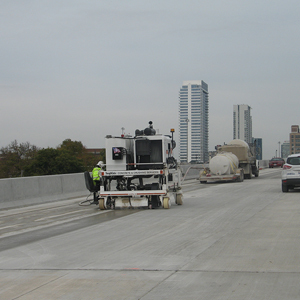 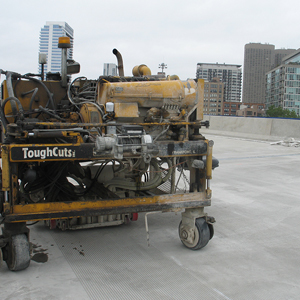 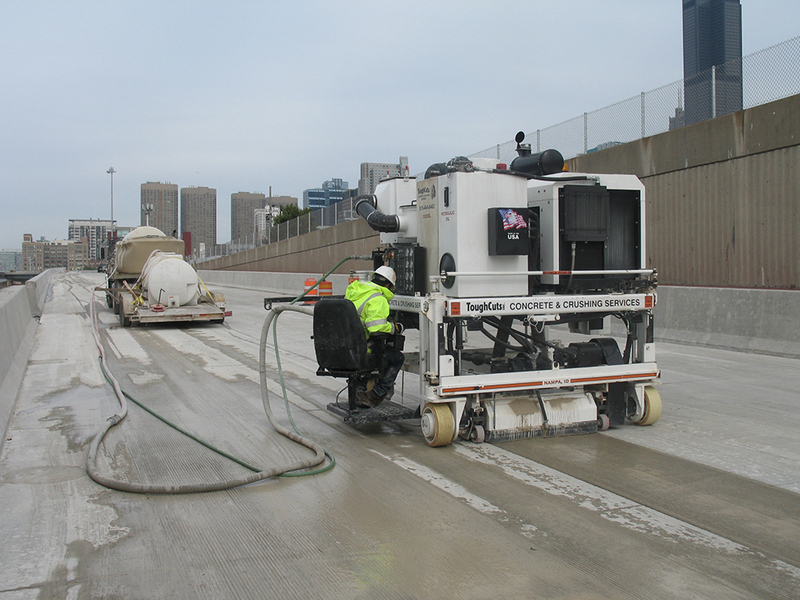 Our machines are factory-built and designed specifically to cut bridge decks and runways. 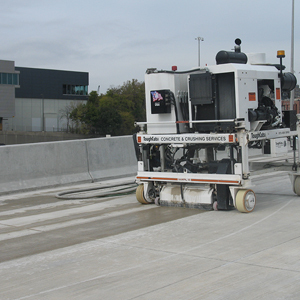 Due to surface water collection and/or freezing a problem of hydroplaning may occur therefore to protect against this grooving was preferred. 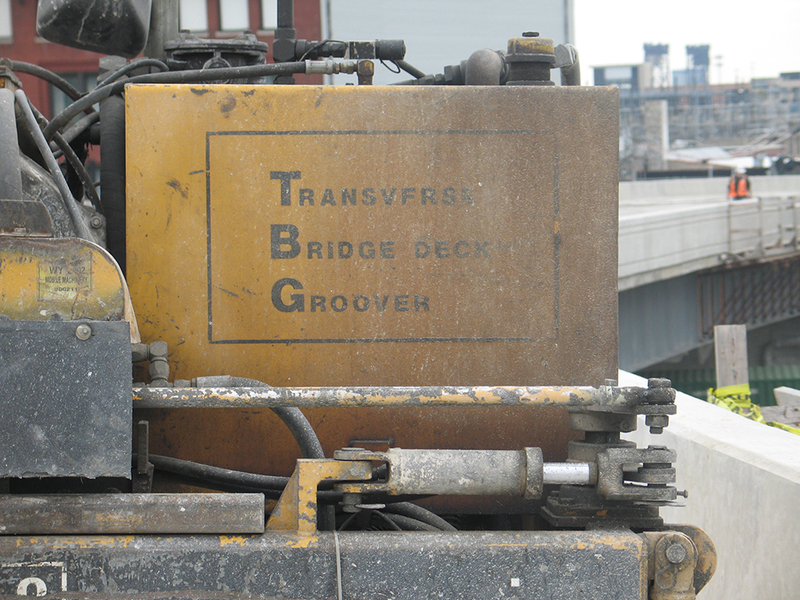 The purpose of the grooves is for diversion of water.